Home / local opportunity / Sine Kabataan Short Film Competition! 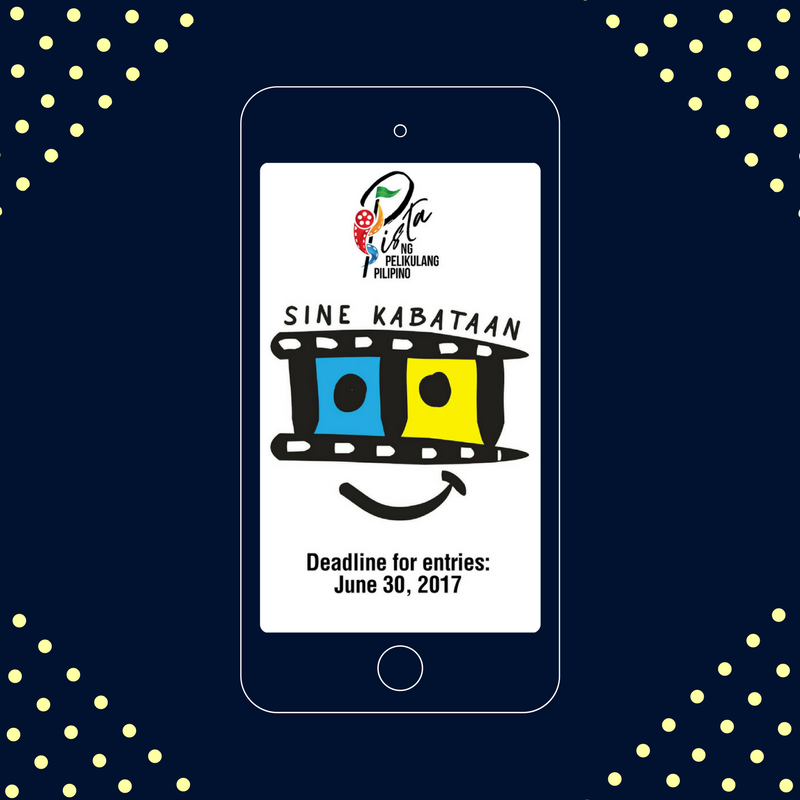 Sine Kabataan Short Film Competition! Mobile phone ang gamit sa paggawa ng maikling pelikula? Halina't ibahagi ang inyong kwento at ipakita ang galing sa paggawa ng maikling pelikula. Sali na sa Pista ng Pelikulang Pilipino - Sine Kabataan Short Film Competition! 1. Open to all filmmakers of ages 18 to 30 years old. Note: Only the film director should be between the age of 18-30 years old. 3. The short film must have a total maximum running time of five (5) minutes. 4. Selected entries as finalists must not withdraw from the competition. 5. 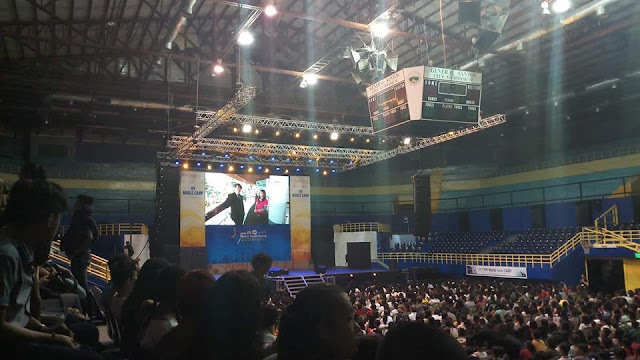 Only entries which have not been featured in other local and international festivals and competitions, and have not won in other film competitions are qualified to join. *Films previously featured in school and inter-collegiate competitions may still join. 6. Films must have been produced in the preceding year (2015 -2017). 7. Any kind of modifications except addition of necessary subtitles will not be allowed for final entries. 9. The production of the film must also adhere to any and all existing applicable laws. 10. The NYC guarantees the safety of the submitted entries throughout the period in its custody. Its obligation is limited only to the replacement cost of the damaged DVDs and reproduction of new copies of entries when unavoidable circumstances like loss or damage happens to the entries. 11. The decision of the Board of Jurors is final and irrevocable. The Board reserves the right not to give an award in any category should no entry merit it and the organizers and the judging committee are not obliged to give explanation for the results. 12. NYC reserves the right to create, revoke, and modify at any time, in any way its entry requirements, rules and regulations at its absolute discretion without prior notice. Finalists and submitted entries shall be bound by any amendments or addition to the entry requirements, rules and regulations herewith. 2. Entry film’s complete and final cut in mp4 file format with english subtitles. Chosen finalists may submit a film copy with higher resolution two days after receipt of notice from NYC. Online submissions must provide a direct link (Vimeo or Google Drive) and a corresponding password/pin if needed. 3. Poster Design in JPEG Format (at least 16x9, 300dpi). 4. Thirty-second movie trailer in playable mp4 format. FOR HAND DELIVERY OR SUBMISSION THROUGH COURIER: Send your entries to Ms Jigs Pasamba, Special Programs and External Affairs Unit, National Youth Commission, 3/F West Insula Building, 135 West Avenue corner EDSA, Quezon City. Deadline for submission is on Friday, June 30, 2017. 1. Film entry’s 30-second movie trailer in mp4 format. 4. Additional requirements as may be determined by the NYC. Please send all queries to sinekabataan@gmail.com with subject heading “Query: Sine Kabataan 2017”.